Playing at a course that uses golf severe weather alerts are becoming more and more important to today’s golfers. With a majority of lightning strike injuries and deaths occurring during outdoor recreational activities, like golf (according to NOAA), it’s really no surprise how important alerts are becoming. Deciding to protect your golfers from severe weather is an important decision every golf course has to make in one way or another. However, we’ve noticed that some golf courses are using severe weather alerts from locations other than their course. For example, a school down the road may have a horn or a different golf course on the other side of town. While this may seem like an easy way to save money while protecting golfers, it actually can cause a lot more harm than good. 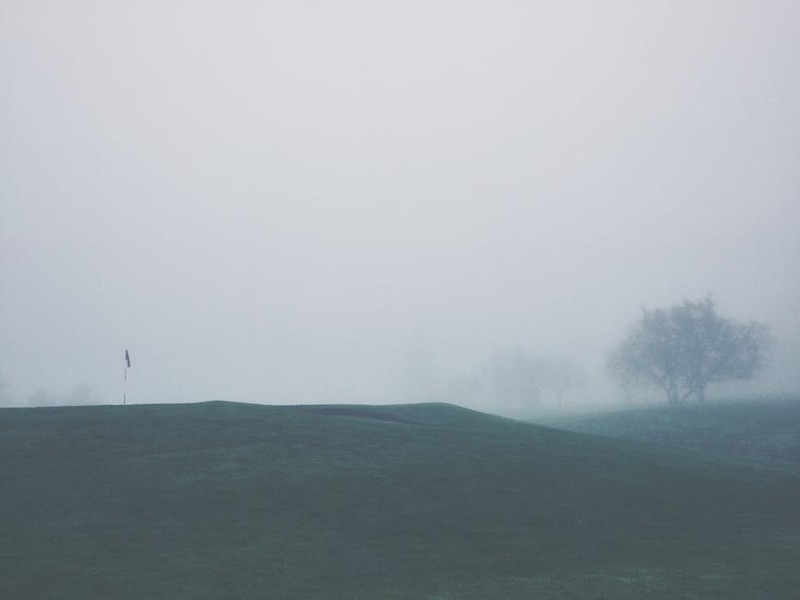 Let’s take a look at just five of the ways using someone else’s severe weather alerts can be a problem for your golf course. The biggest issue with relying on a system that you did not choose yourself is that you don’t know the quality of the system. This is a huge problem because when it comes to golfer and employee safety, faulty systems are a huge liability. For example, although they no longer make up the majority of the market, lightning prediction systems are still in use today. These systems are faulty and not a reliable way of protecting anyone from severe weather. What is the difference between lightning prediction and lightning detection? Well, there are quite a few, but the main difference is that lightning prediction doesn’t actually detect lightning strikes. Instead, it measures electrostatic discharges – which electrical equipment often give off. If the system you rely on is a lightning prediction system, you may be calling in golfers off of the course because of a false alarm. Even worse, you may leave your golfers out while lightning is within striking distance because the horn hasn’t sounded because it can’t actually detect lightning strikes. Even if the alert system you are adhering to is a lightning detection system, there are plenty of different grades of those on the market today. Most only measure cloud-to-ground lightning strikes, which make us less than half of all lightning discharges. 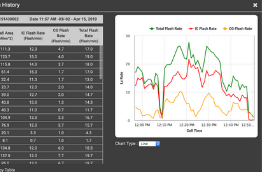 You want to make sure you are investing in a total lightning detection system at your course. The next reason why you can’t rely on another entity’s severe weather alerting system is that the alert threshold might not cover your course. Most lightning alerting systems have thresholds either set by the company or customized by the owner that allows them to chose how large of a radius they want to be included in the alerts. While you may think the firehouse a few miles away is close enough, areas of your course could easily be in danger before the firehouse is, depending on the speed and direction of the storm cell. If you wait for the horn, your golfers may already be in danger. If the system doesn’t cover even one hole on your course, you are putting everyone in danger. Much like the different radius, a lightning alert system also can have customized hours of operation. A lot of schools and golf courses that install alerting systems set hours of operation. Sometimes, the community asks that they are set so they don’t have to hear the horn in the middle of the night. 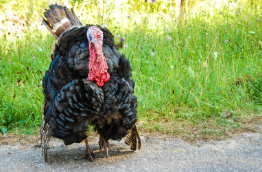 Other times, communities have noise restrictions all businesses must comply with. If you are relying on a horn system at a school that does not go off on the weekend, you may not know your golfers are in danger. 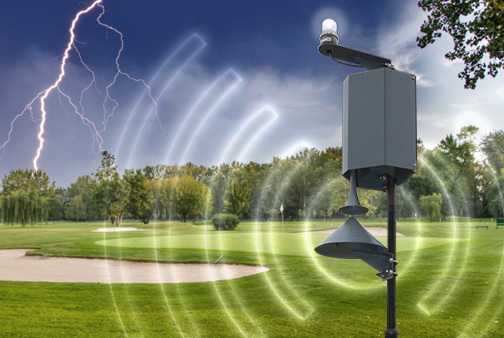 Effective golf severe weather alerts are more than just a horn or a strobe. If you really want to make sure you never miss an alert, text alerts are the way to go. If you are listening to loud music in your clubhouse or on the phone in the pro shop, it is a possibility that you’ll miss the audible alert from a far-away system. 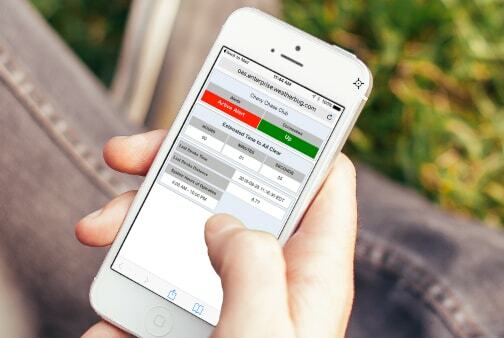 Without having your own system you can’t configure text alerts. This is just another situation that leaves your course vulnerable if you rely on someone else’s system. Unfortunately, weather-related accidents do happen. While they are rarer in certain areas than others, they are always a threat. Even if you are a play-at-your-own-risk course, you can bet there will be some sort of lawsuit in the case lightning kills or injures someone playing at your course. It doesn’t help your case to explain you use a system that you don’t own, operate, or know anything about. Download our liability ebook to learn more about this important issue. 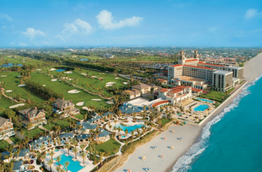 Do you have any questions on lightning alert systems for golf courses? If so, leave them in the comments below or reach out to us on social media. Curious about the different types of alerting systems? 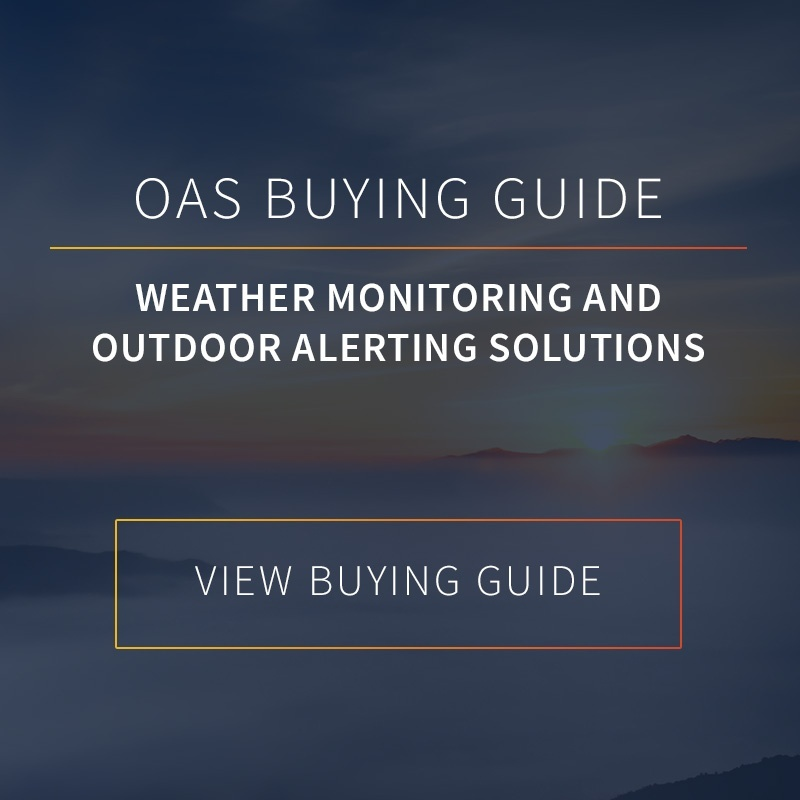 Learn all about the different features you should be looking for with our Outdoor Alerting System Buying Guide.